The world-famous director of Jurassic Park, Steven Spielberg, has a net worth of $3.7 billion and an annual salary of approximately $150 million. Steven’s phenomenal career of almost four decades, which includes his classic movies, has earned him this immense wealth and affluence. Three of his movies, namely E.T., Jaws and Jurassic Park made him the highest grossing film-maker of that time. Spielberg is the owner of a 12-acre domain, known as Quelle Farm, which is also his family’s summer retreat. The farm is a 1740-built domain, which is a blend of French and English architecture and is located in the midst of East Hampton Village. He also owns an opulent and stately home in Hamptons, which is valued approximately at $64 million. Steven also has a luxurious mansion in Malibu, which is spread in an area of 7,237-square feet. However, Steven himself resides with his family in a Pacific Palisades hilltop estate in Los Angeles, California. Steven Spielberg also possesses one of the most expensive houses in Hollywood, situated at Brentwood, in California. The house is worth $20 million. He also has an apartment in New York in one of the prestigious buildings, called The San Remo. The Oscar-winning director has enough wealth to own an enormous and classy yacht, called Oceanco Seven Seas super-yacht worth $200 million, a private Bombardier Global Express jet and an island of his own in Madeira Archipelago, which is situated off the coastline of Portugal. Steven prefers to drive Aston Martin DB9 Volante. Apart from acting and film-making, Steven has also remained involved in video games for a long time. Some of his notable video games are Goosebumps: Attack of the Mutant, The Neverhood, T’ai Fu: Wrath of the Tiger, etc. He also created the “Medal of Honor” series. In 2013, he collaborated with 343 Industries. 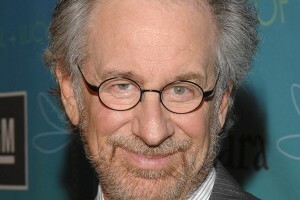 Steven Spielberg was born in Ohio in a Jewish family. His childhood was spent in making 8mm adventure movies with his friends. In 1958, he became the Boy Scout and earned for himself a merit badge in photography. At the age of 13, Spielberg received the prize for his 40-minute short film called “Escape to Nowhere”, which was based on the war in East Africa. When Spielberg was 16, he made his own independent Sci-Fi movie, called “Fireflight”. The professional career of Spielberg started in 1969 when he was employed to direct a small segment of television series, called Night Gallery. After some more struggling projects, Spielberg got his first feature-length project, which was an episode of the television series, called The Name of the Game. Some of his movies fetched Spielberg a lot of wealth, like Jurassic Park, in 1993, did a business of $970 million, The Lost World: Jurassic Park made him acquire $619 million, Indiana Jones and the Last Crusade did an overall approximate business of $474 million, Indiana Jones and the Kingdom of the Crystal Skull earned him $787 million. Spielberg’s The Adventures of Tintin, in 2011, did a box office business of $374 million. These are some of Spielberg’s top-grossing movies. However, amongst all, Jurassic Park is unbeatable, and a must watch even after 20 years of its theatrical release. Spielberg is the recipient of 126 awards from 231 nominations, which comprises eleven Emmy’s, three Oscars, seven Golden Globes for best director and best producer. Steven Spielberg has supported a number of charities, including Bush Clinton Katrina Fund, American Humane Association, BID 2 BEAT AIDS, Entertainment Industry Foundation, Cedars-Sinai Medical Center, Righteous Persons Foundation, Motion Picture and Television Fund Foundation and Film Foundation. Other than these foundations, Spielberg works towards causes, like AIDS & HIV, abuse, cancer, children, animals, disaster relief, education, environment, health, hunger, human rights, poverty, and women empowerment.